A balm is a great way to use essential oils on the skin, it’s simple to make, easy to apply and feels lovely. It can also be used in a variety of ways, I have included recipes for ‘chest’, ‘pain’, ‘cleansing’ and ‘beauty’ balms below but you can tailor the essential oils in the recipe to suit you personally, (see my shop for tips on essential oil properties and uses for help choosing). The following recipe makes a good consistency for general use. It is fairly soft, so ideal for massaging into the skin on your face and body as a nourishing treatment and as a massage balm to lubricate the skin and nourish during massage. As well giving the balm it’s consistency, beeswax gives a protective and nourishing feel. Shea butter gives it a creamy smoothness. And then there are the base oils, I usually use almond, apricot or olive oil, which all give it a lovely nourishing feel, but feel free to substitute with what ever you have handy or to experiment with various types, (see my shop for carrier oil properties & uses for help choosing). Vitamin E is a natural preservative so will help your balm last longer (approx.18 months), I use a soy (GMO free) derived version. You can buy most of the ingredients from myself, except for the beeswax, which I buy from local bee keepers or honey sellers. I would recommend buying the beeswax in pellet form or sheets, as it’s easier to manage, solid blocks are difficult to break up and get the correct amount. You can adjust the ingredients to suit you as you wish, if you want it softer (for a cleansing balm*), use less beeswax (5g), and if you want it harder (for a lip balm) then use more beeswax (15-20g). Bain marie (a sauce pan for heating water with another pan on top so ingredients are heated gently by the steam to avoid heating ingredients directly). Sterilise the pots by putting boiling water in them for a few minutes, then empty and ensure they are completely dry. This is important as the balm can go rancid if mixed with water. Weigh out the beeswax and shea butter using the scale and weigh or measure out the base oil. Use a bain marie to melt the bees wax and shea butter, then add the base oil. As soon as it’s completely melted remove from the heat. Let it cool a little before adding essential oils and vitamin e, so they are not affected by the heat. If it begins to solidify give the mixture a stir. Pour the mixture into the containers and leave to cool and set. TIP: I often pour the mix into the jars before adding essential oils, so I can make each pot a different flavour. Decide on which oils and how many drops to add in advance, as the mix will solidify quickly once in the pots. Here are some recipes for common uses, just use the balm recipe above and add the following essential oils. 5% blend strength for application to chest to support colds, coughs and chest infections. 5% blend strength for use on specific effected areas. You can use this balm to cleanse your face, remove makeup and grime, just rinse with warm water or a warm cloth afterwards and your skin will be left feeling silky soft. Use at 2.5% blend strength for stretch marks and scars, and 0.5% to use as a night time nourishing facial treatment. You can pick as many or as few oils as you like, but just ensure the total blend strength is appropriate (see blend strength charts below). *Coconut oil is also useful for a cleansing balm as it’s very greasy and lifts dirt and grime gently from your skin, it’s great to use on its own for removing eye make-up. Next > A List of the most popular Essential Oils, their Uses and Cautions. Hi Lieke, they are very simple and don’t take long at all. I wouldn’t say they are a ‘cream’ though, I have written a blog on how to make creams, and there is a little more to it, as you need to blend water and oil ingredients together with a blender, where as the balm is just melting and mixing. However, the ‘balms’ do have a buttery consistency and feel lovely and smooth on the skin. Would love to know how you get on. Amazing what you can create with a little melting and mixing, so simple yet so effective. Hi Laura I’m now ready to make the body balm. Just didn’t have all the equipment. Could you please advise on much vitamin e do you use in 100ml? Many thanks. I would use between 1 and 5ml. the balms are really soothing and a soft way to use the Essential oil topically. 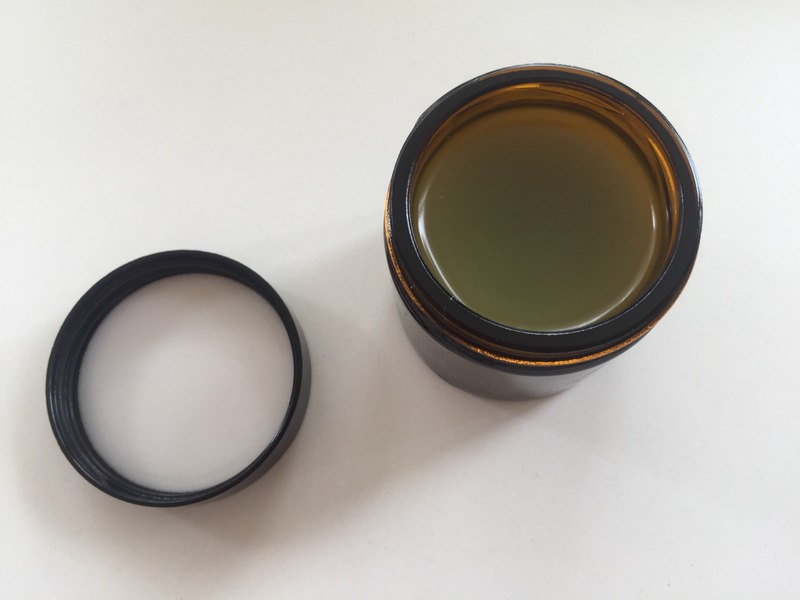 the ration of ingredients are proper, so easily i made beauty balm and one pain relief balm, last one I used on my kid too, with effective result. Hello Laura I created your recipe for the beauty balm and it is absolutely divine. I also use it at night to cleanse my face its lovely. Thank you for the recipe. Hi Kelly, thanks for sharing. I love using balms to cleanse, they are great for removing make up and grime, and feel very natural. The beauty balm is especially gorgeous, with rose, lavender & myrrh essential oils, it is incredibly nourishing -one of my all time favourite blends. I have recently had amazing feedback from someone who has been using it on very sore skin that was developing bed sores, no more sore or damaged skin, and no bed sores.